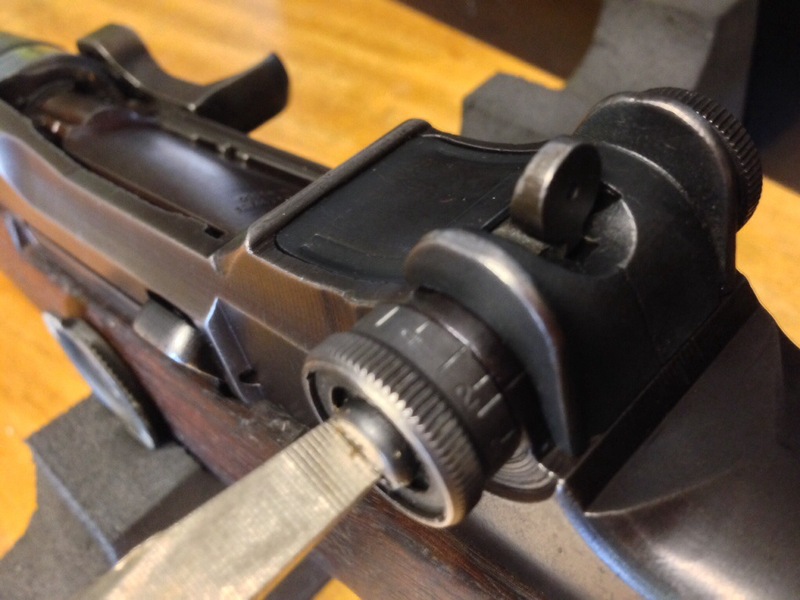 There are a few different ways to set the elevation knob on a Garand floating around. 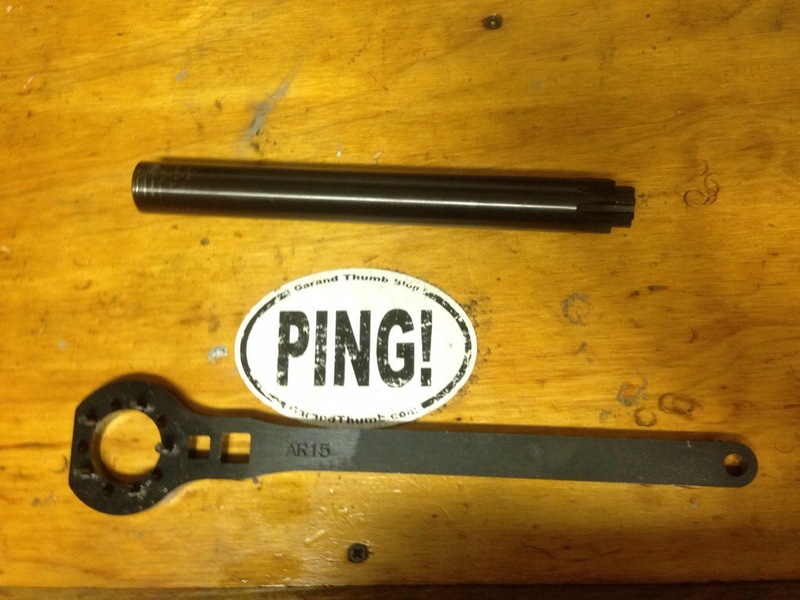 Before setting this you will first need to determine what the correct amount of clicks is for your rifle to hit the X ring. 1. Run the rear sight all the way down. 2. Loosen the elevation knob screw. 3. Continue turning the knob down until you reach your desired hashmark. 4. Continue turning the knob down counting to your desired number of clicks. 5. Tighten the elevation screw without moving the knob. 6. Turn the knob up verifying that when you have reached the number of clicks you were looking for it stops at the desired hashmark. 7. Run the rear sight all the way up and tighten the elevation knob screw all the way. 8. Return the sight to zero and go shoot in a local match. A fair amount of competitors don’t bother with this and just count clicks. It can be a useful practice as it helps you verify at a glance you are at the right elevation. However, on the other hand, I have had the rear sight loosen up on me and cause the elevation to appear correct but the number of clicks had drifted. Best practice is probably “trust but verify” and set your your elevation knob to the right hashmark but verify from time to time, at least before each match. It is also a good idea to write your elevation and windage down on a card and place it in your stock. Recently I purchased a nice field grade Winchester from the North Store. It is a Springfield 66 rebuild and came dressed in a nifty “non-match” glass bedded stock. While it locks up nice and is very nicely crafted it is not legal for JCG matches and, I am determined to shoot its nice LMR barrel in competition. 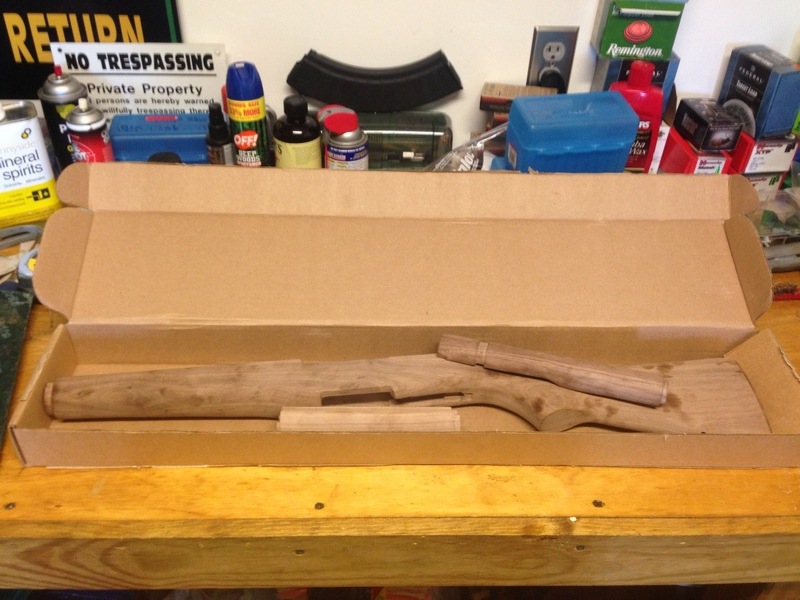 So, I decided to swap the stock with an unfinished stock from Dupage. First thing I did was give it a coat of Raw linseed, inside and out. 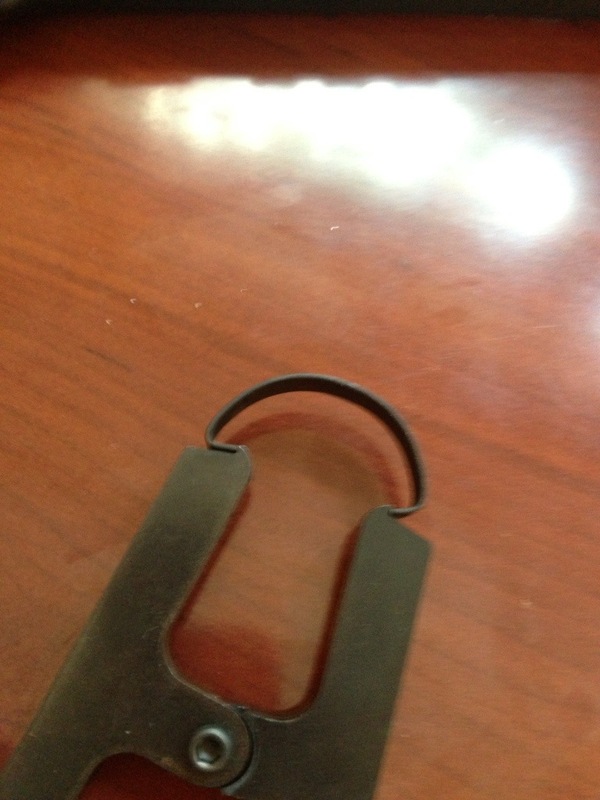 It comes with all the metal parts however they were not installed. Then I installed the stock ferrule which was relatively easy. I did not have to remove any wood to get it to fit so I just tapped it on with a hammer and a piece of scrap wood. Completing the front handguard was a little more difficult. The hand guard spacer that came with the set was giving me some trouble so, I took one from an extra handgaurd I had. I carefully tapped this in using a socket wrench extension and a hammer. Then I tapped the tabs of the spacer down into the front handgaurd ferrule with a punch. It takes 3 or 4 hands to do this and you’ll need to block the back (or bottom) of the spacer with something while bending the tabs on the front down or you’ll just push the spacer out. I just laid an extra punch on my workbench and placed it under the spacer. To get the front handguard to fit in the upper band I did need to file the “lips” carefully so it was able to move freely. While the rifle did “drop in” I needed to do some fitting. Most of the work was sanding the area around the operating rod. It was dragging a bit mostly on the top of the area circled below. This too a fair amount of sanding and checking. Then I rounded the sharp corners in channel towards front of the stock so the wood did not contact the barrel, this was fairly simple. 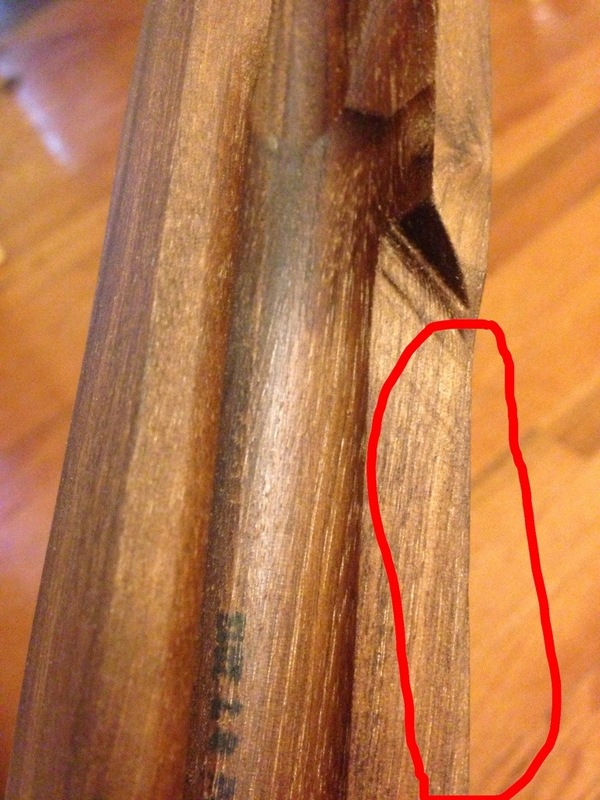 If the barrel contacts the stock here, this will put upward pressure on the barrel and mess with your point of impact. 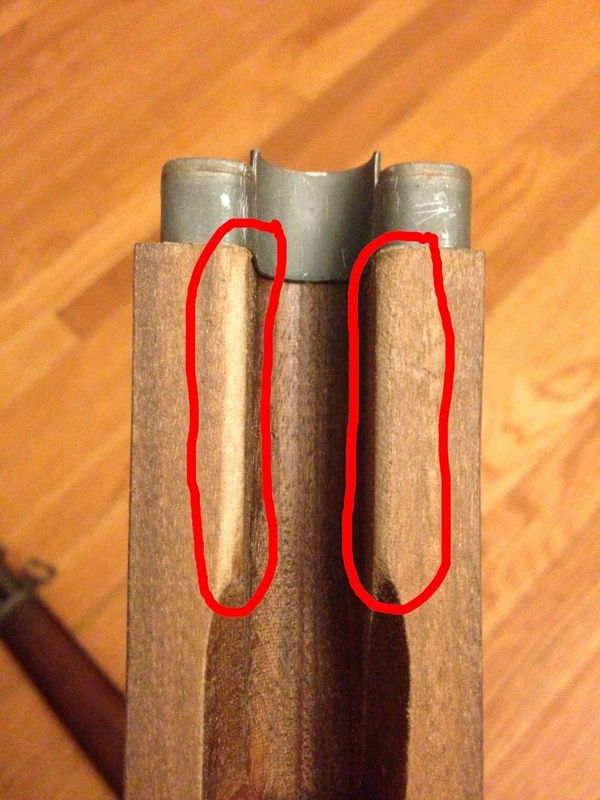 The rear handguard came properly shortened so that it left a little gap between the wood and the receiver. 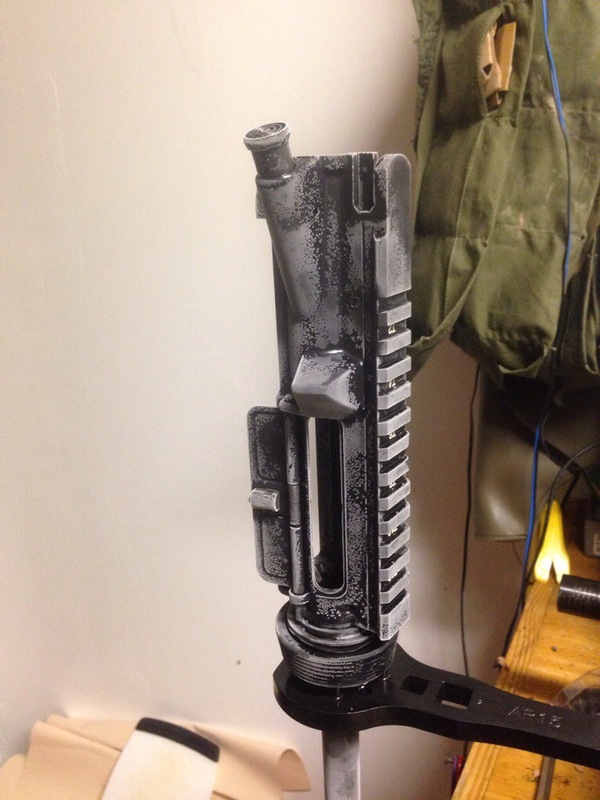 I sanded out the inside a bit so it did not touch the barrel. I would highly recommend using a “badger ordnance” pliers to remove the rear hand guard retaining band. 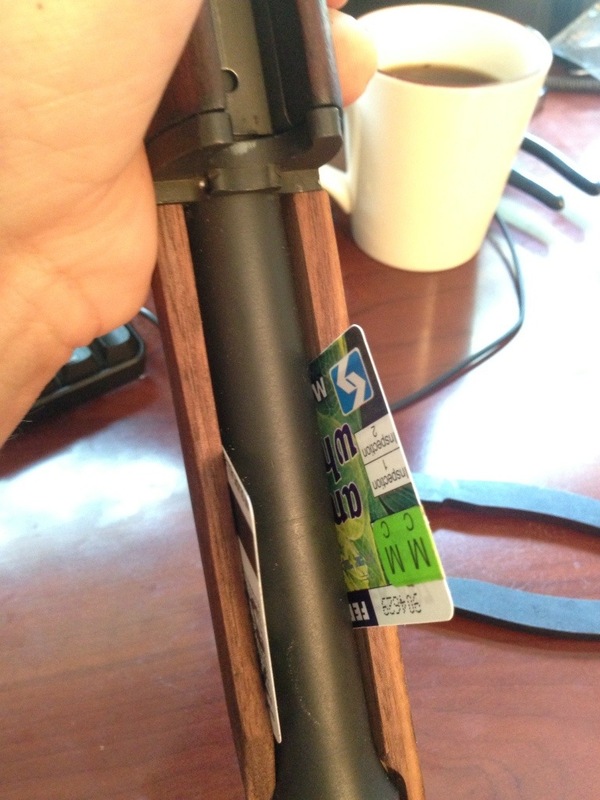 Otherwise it is very easy to break the rear handguard. 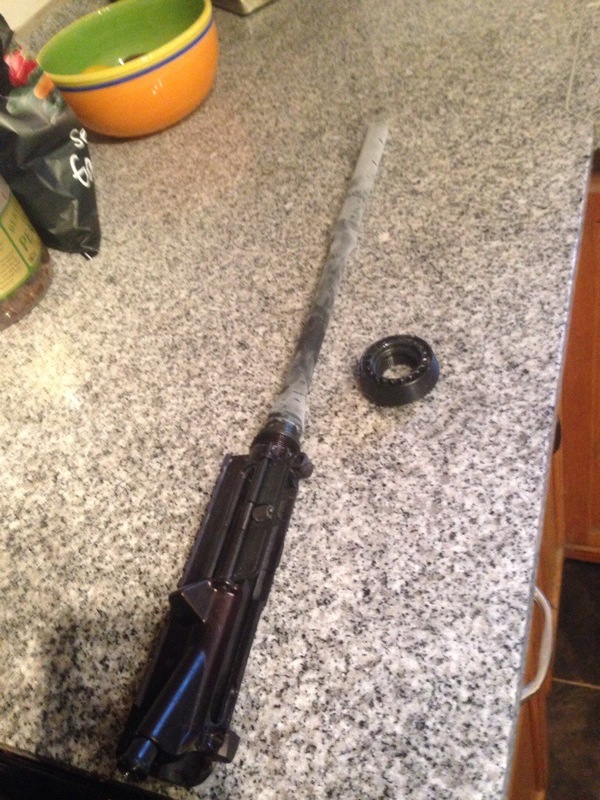 I also sanded the bottom of the rear hand guard and the top of the stock so they did not touch. While I had the gas tube off I peened the barrel just to keep the front sight nice and tight. 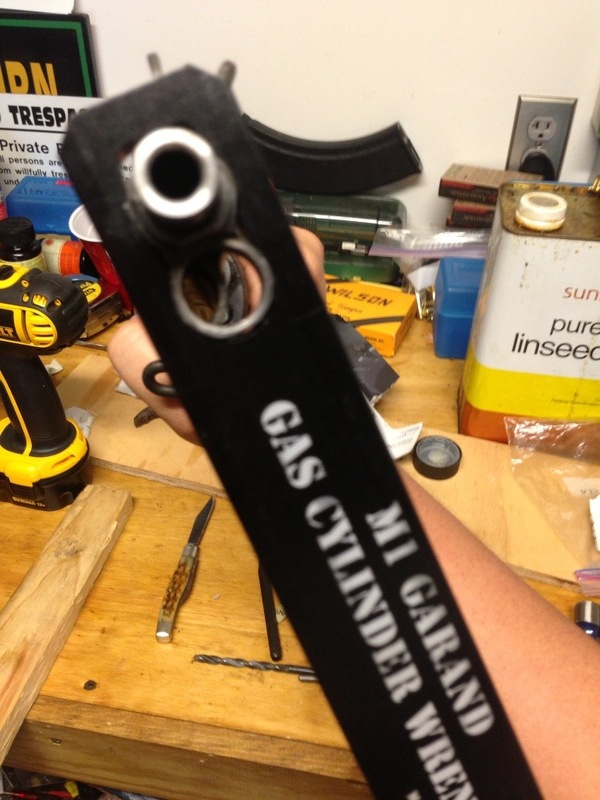 Unlike every other Garand I have this one came with a properly timed gas lock. I think this really speaks to the care taken with these 1960’s rebuilds. I did have to break down and buy a gas lock wrench as it was on very tight. This one came from amazon and did a nice job. 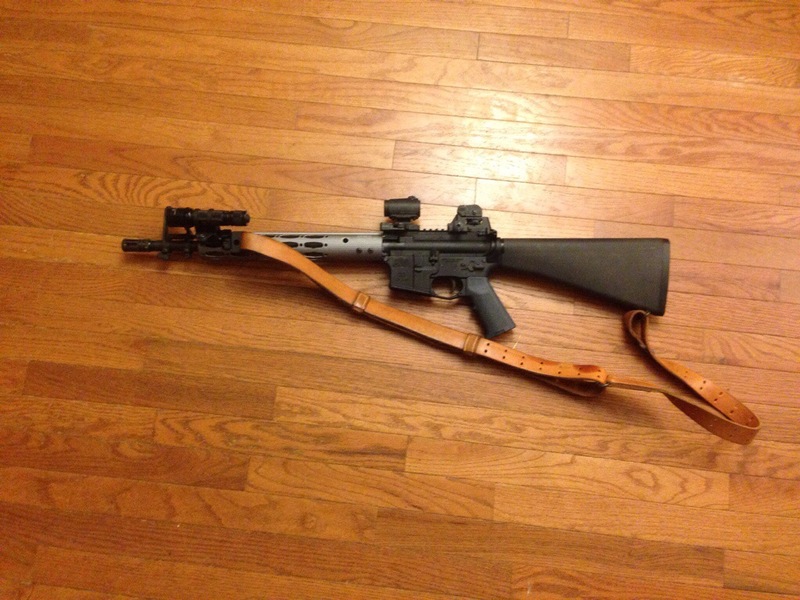 Check out Gus Fisher’s forum on M14forum.com he is very knowledgeable in proper stock fit I printed out several of his threads while working on this. I can’t give you a good range report just yet as I ran out of ammo at the range (I know) I’m hoping to get her out in the next few days. 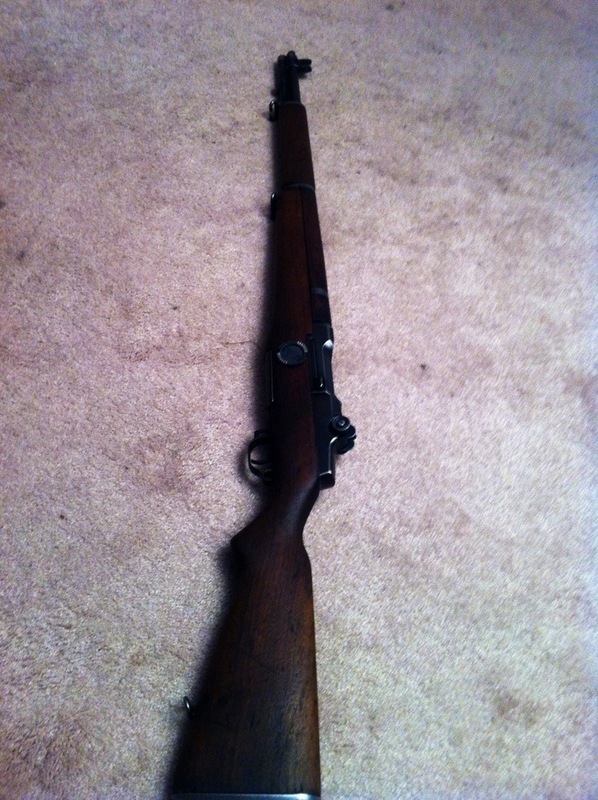 If all goes well I may take this rifle to Camp Perry in a few months. 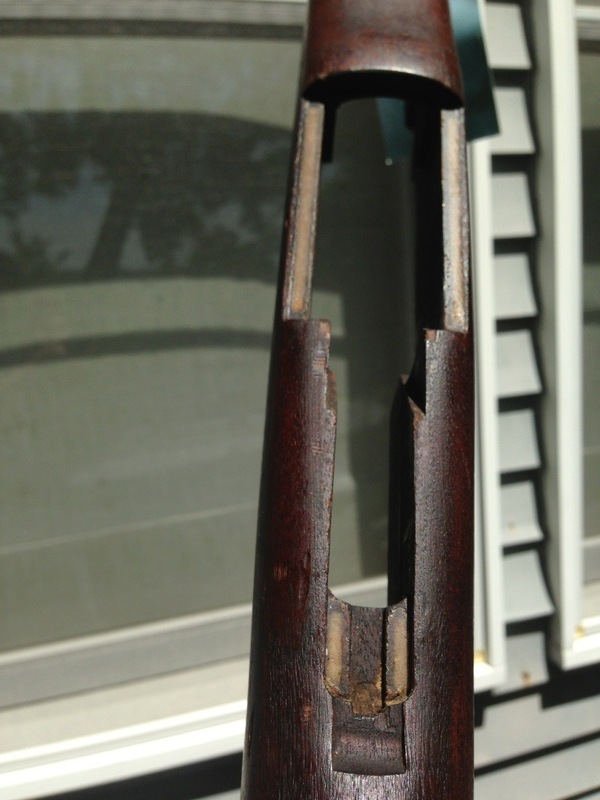 My rack grade Winchester was in very poor shape when I picked it up at camp perry this summer. 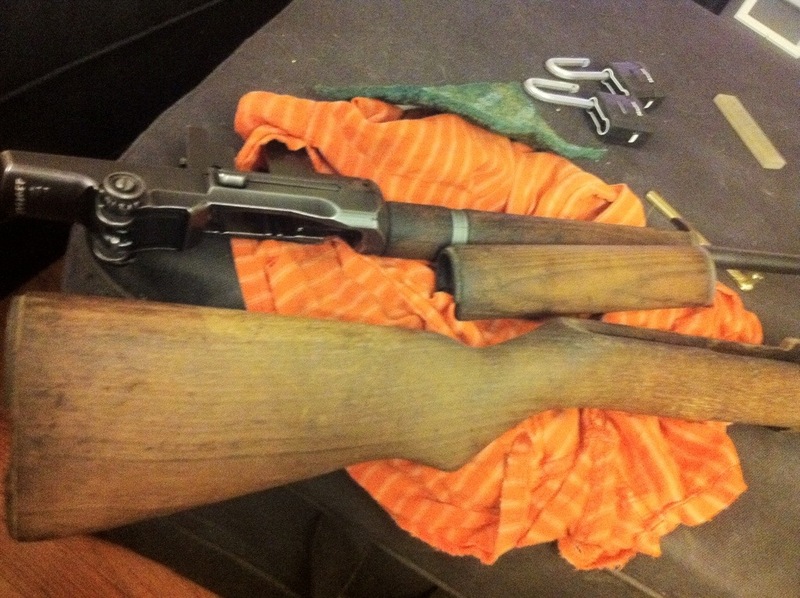 I have used raw linseed oil in the past between seasons on my match Garand. However, this one is well beyond what a coat or two of linseed oil will fix. 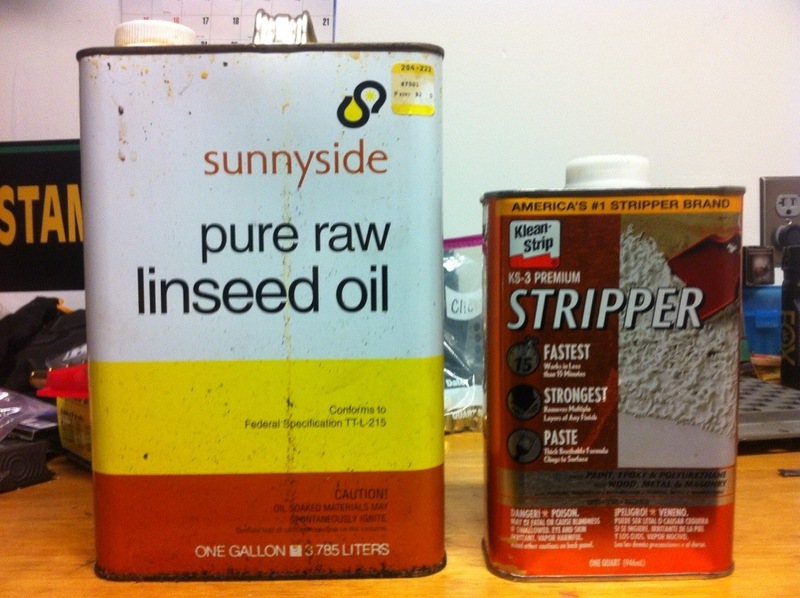 I used Klean-strip KS-3 stripper and sunnyside pure raw linseed oil. I went with Klean-strip as it is supposed to protect the structure of the wood and raw linseed as it makes a more “traditional” finish. First I stripped it down, WEAR GLOVES WHEN USING STRIPPER! This stuff is harsh on the skin it ate through my gloves several times. I applied it thick and then wiped it off with a scotchbrite pad. I also steamed the stock with an old iron, over a tub of water I soaked an old towel and pressed the towel against the stock with the hot iron, this pulled out some of the dents and also brought out a lot of the dirt and grime. Be careful not to electrocute yourself. At some point in this process I replaced the front handguard with a used handgaurd from SARCO and stripped and steamed it the same as the rest of the stock. After it was all stripped I went over it gently with the scotchbrite pad which sanded out some of the remaining dents. 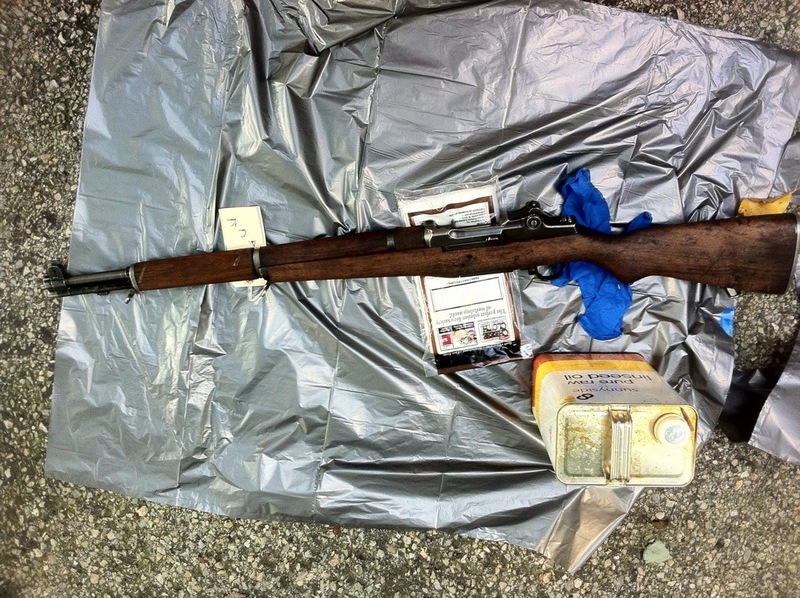 This stock was of no particular value and had no markings so no value was lost. Once I was happy with it, I started applying linseed oil. Raw linseed dries very slowly and will absorb into the stock so it’s important to apply it in very thin coats. I hand rubbed a light coat, just dipped my finger tips in the linseed and rubbed until the wood absorbed it. I did this once a week for several weeks then once a month for a few months. Don’t leave any linseed oil “on” the stock it should not look slick or wet after application. 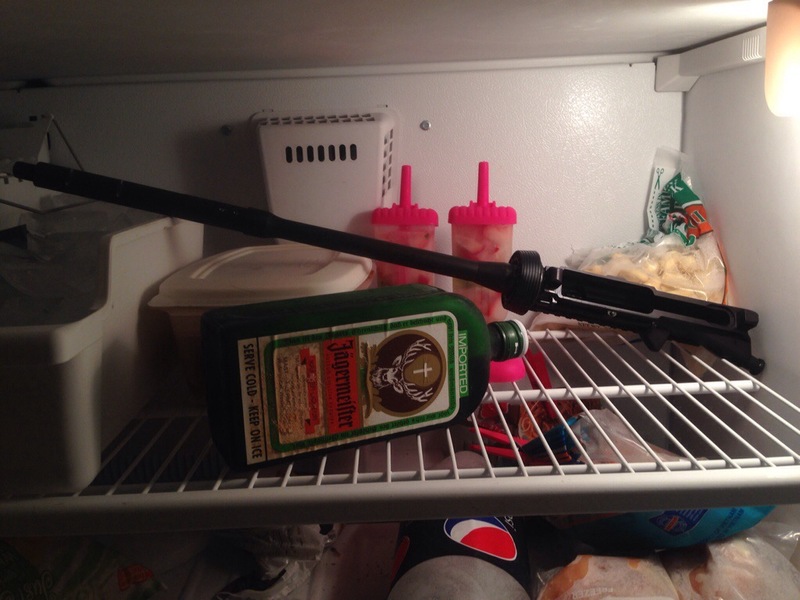 Wait a couple weeks before shooting it to keep it from warming up and getting sticky.